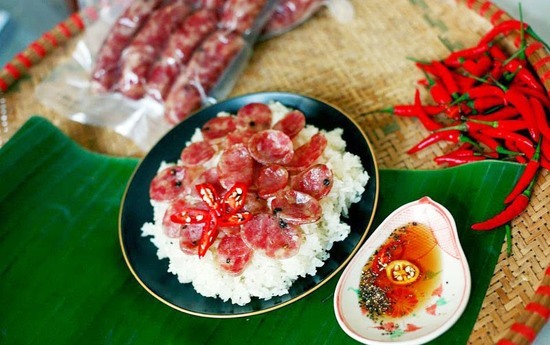 Lap xuong is a popular dish made across Viet Nam, but the best comes from Tay ethnic group in the northern mountain Bac Kan Province . 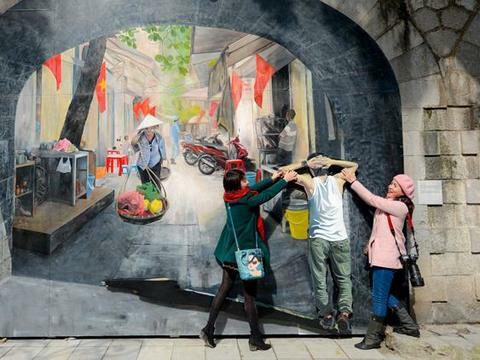 Tet is approaching and they are preparing to make lap xuong (a special handmade sausage) to welcome Viet Nam’s biggest traditional holiday, which falls on February 5. Ahead of the festival, Tay women wear their traditional clothes to go to the market to buy food while men prepare to kill a pig for Tet. Housewife Lam Thi Noong said her family chips in with two others to kill a 70kg pig raised by herself to make banh chung (rice cake) and the sausage. “Sausage has been made by my ancestors for a long time. My mother says that in the past during difficult days, her family killed a pig for Tet and made the dish last until the next Tet,” Noong said. 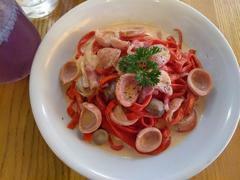 She said her mother’s dish has its own unique flavour, with the smoked pork lightly salted and combined with sour fermented maize wine. “We all are interested in the dish for the mix between the crispiness of the pig’s small intestine and the sweetness of lean pork and fat,” she said, noting that her mother has carefully chosen ingredients to make the dish. They include lean and fat pork which are cut into thin pieces and mixed with salt, mac mat (a kind of wild) leaves, maize wine and forest ginger sauce for two hours before stuffing it into half dried small intestines, which should not be stuffed too thick. She then uses a needle to prick the small intestine to stop the lap xuong from cracking, before tying each sausage into a 20cm parcel. The dish should be dried in the sun or left in kitchen until it is dry, said Noong. The food is often fried or roasted on wood charcoal to be eaten with sticky rice. “All my family members are interested in enjoying the food dipped in chili sauce eaten with banh chung (rice cake) during Tet. My mother said it’s a speciality of our native village that every Bac Kan child living far and wide remember when Tet comes,” she said. Hanoian Nguyen Thi Hai and her friends often hire a four-seat car near Tet to go to Bac Kan to buy sausage, organic mien dong (canna vermicelli) and forest mushrooms for Tet. Hai said for almost 10 years now, despite being busy, she spends two days a year to travel to Bac Kan to buy these things. “With aromatic flavour, the sausage is one of main food at my home Tet, my children like to roast it over wood charcoal cookers. 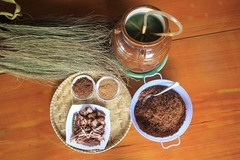 They say there is no food that can compare with this Bac Kan one,” Hai said, adding that the mien dong which is made of edible canna planted by farmers in Na Ri District, is fragrant and crispy. Farmer Lung Thi Muoi in Bac Kan said her family’s living standards have improved since she started selling sausage and canna vermicelli. 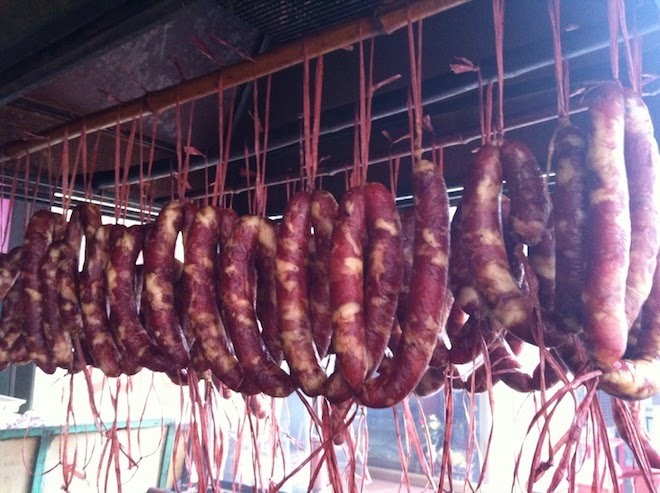 Mouthwatering: Smoked lap xuong made by Tay ethic people. 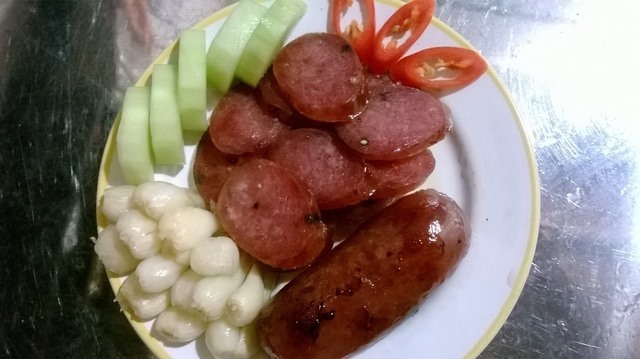 Yummy: A tasty roasted plate of lap xuong is ready.